What to do with the Thanksgiving leftovers? I'm all reliving the experience at lunch the next day. My original plan was to have a lazy morning and let my kiddos concoct their own breakfast the day after, allowing me an extra cup of coffee and time to slowly get my day started. The amazing part is that my kiddos love mornings that they get to fend for themselves! Perhaps because it doesn't happen that often. However, after sending the Thanksgiving guests home I discovered stowaways in the form of cousins. (Kidding! Of course they had been pre-approved to stay.) It seems like poor form to have the cousins fend for themselves, so this mama made muffins for everyone. 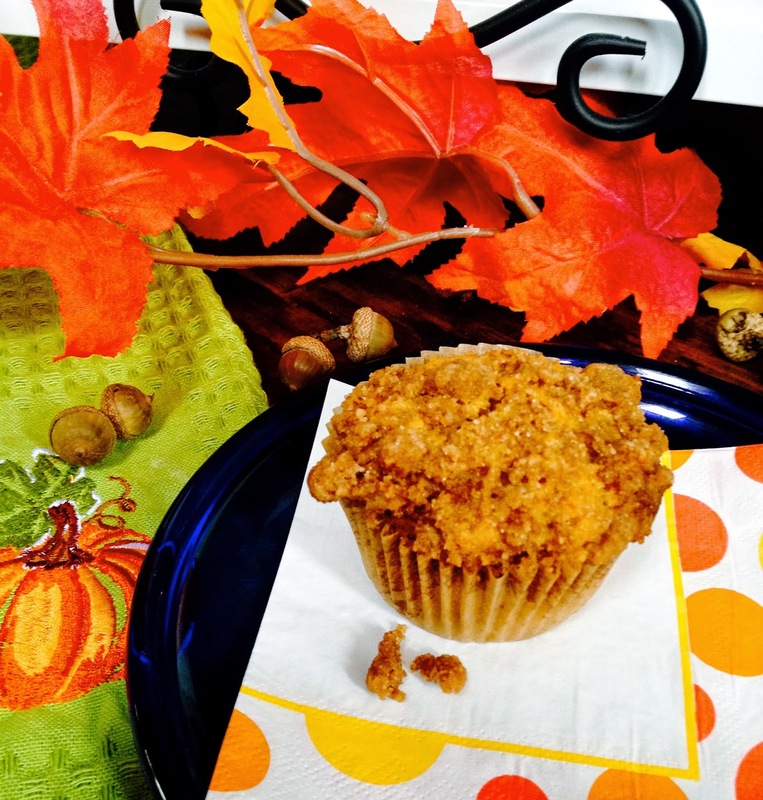 Having extra sweet potatoes made easy muffins. Adding streusel topping made them a special occasion. Here's the recipe so you can use up those yummy leftovers too! Preheat oven to 375. Line muffin pan. (These liners rock. Nothing sticks.) In a large mixing bowl mix dry ingredients together. In a smaller bowl mix mashed sweet potato, milk, vinegar, and oil. Set aside. Now make the topping. In a small bowl, whisk together sugar, flour, and cinnamon. Cut in margarine until mixture is uniform and sandy. Time to pour the wet ingredients into the dry and mix gently until fully incorporated. I use an ice cream scoop to evenly fill the muffin pans. Sprinkle with streusel topping. Bake 22 minutes, or until a toothpick inserted in the middle comes out clean. Tip muffins up at a slight angle to allow steam to escape from the bottoms- no one likes a soggy bottom- and serve at your leisure. These are good warm or cold. Carefully made these are nut-free, dairy-free, egg-free, soy-free, can tastily be gluten-free, rice-free, vegan, and delicious.